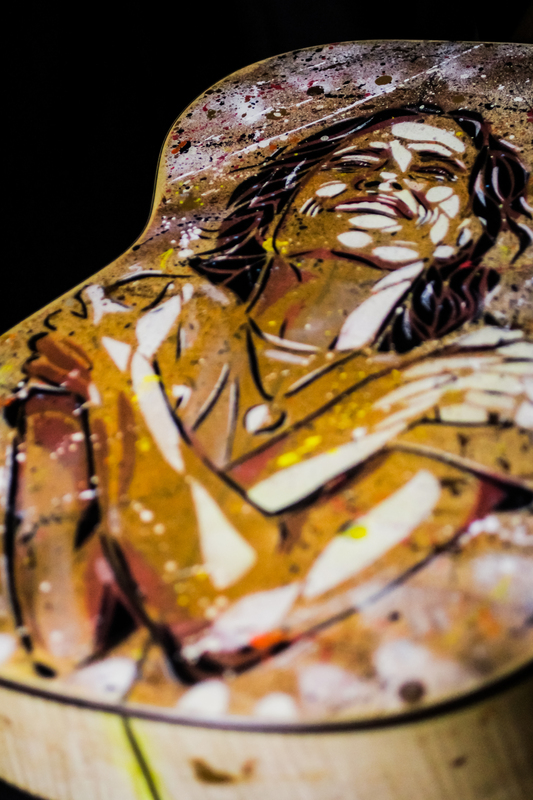 Luthier Lineu Bravo has got a piece of art with his portrait, made by his friend Felipe Rezende, a talented visual artist that tries to express people’s emotion when painting them. 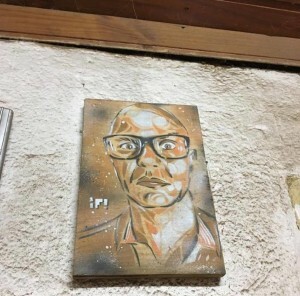 Lineu’s portrait was created after a photo session that they made together: “I gave it to him as a gift, on a piece of wood, which is the substance of his work”, says Felipe. 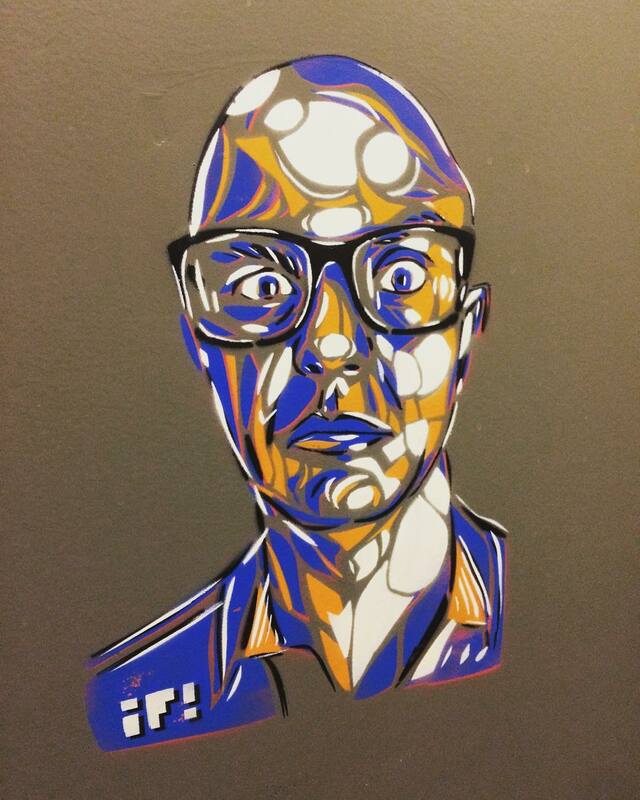 This piece of art with Lineu’s face is also on display at a famous hotel chain. 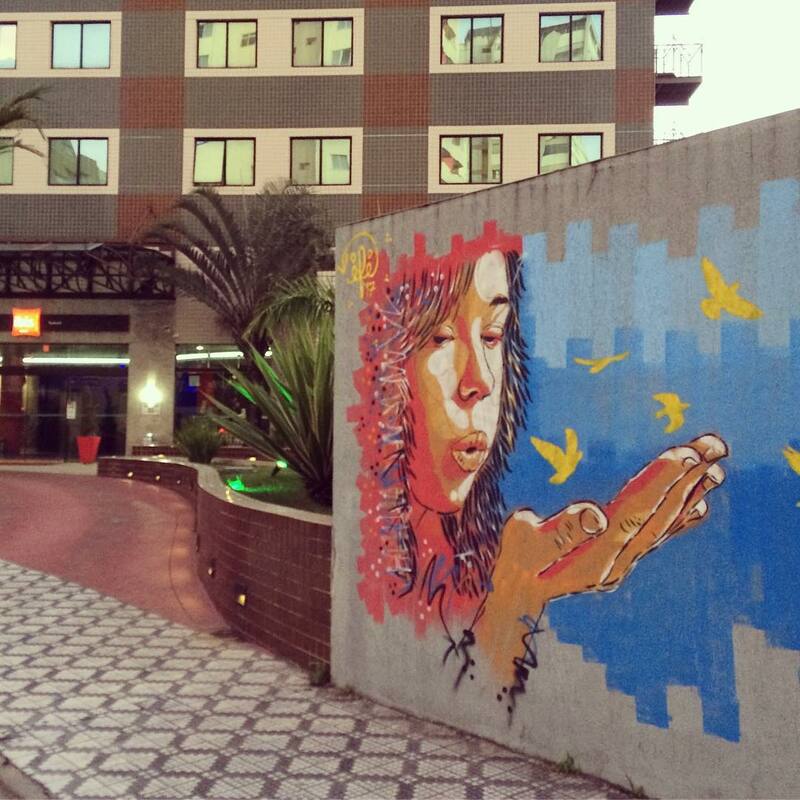 Felipe started a partnership with “Hotel Ibis” in 2016, when he took part in a revitalization project in Taubaté, São Paulo, with two other professionals: architect Carol Miranda and a furniture restorer. 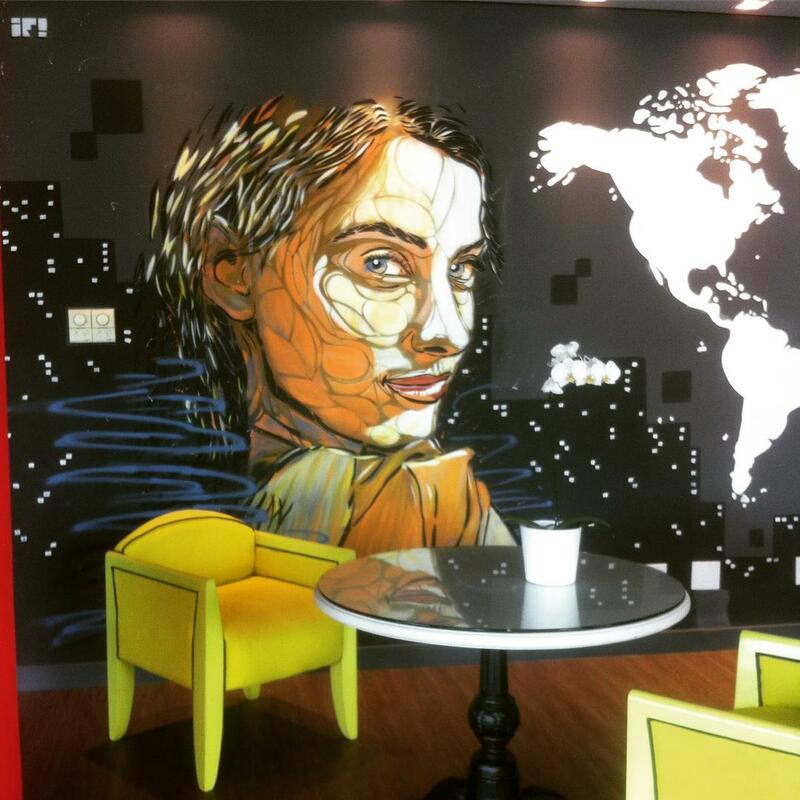 On the occasion, the visual artist developed the wall painting there. After this project, Felipe received an invitation to work in another hotel named “Ibis Styles”, in São Paulo. 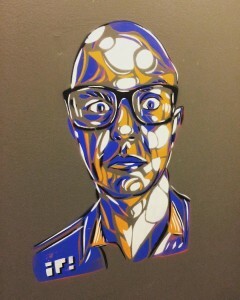 Felipe chose his friends’ portraits, such as Lineu Bravo piece of art, to put on the toilet doors of the hotel. 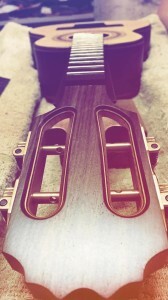 Luthier and visual artist thinking together: Lineu Bravo and Felipe Rezende conceived a project to customize musical instruments for artists, such as Brazilian singer Zélia Duncan. The idea and the art for Zélia’s guitar were created by the luthier and the visual artist in 2015 and 2016. Felipe Rezende said that the partnership with Lineu started when they got closed thanks to a graphite that he had painted at Lineu’s house. “We ended up becoming friends and one day he told me about this idea of customizing some instruments for artists”. They worked for 6 months and, during this period, they thought about theme, image, concept, and researched a lot of facts about Zélia’s life. The artist tells how the process was: “We have found out that she was a Joni Mitchell fan, so we started the production: Me, at my atelier, and Lineu at his workshop. He handed me the guitar so I could draw and write poetry excerpts inside the box. 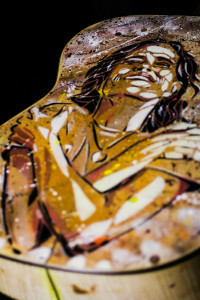 When he finished the guitar, he gave it to me so I could paint outside, too. 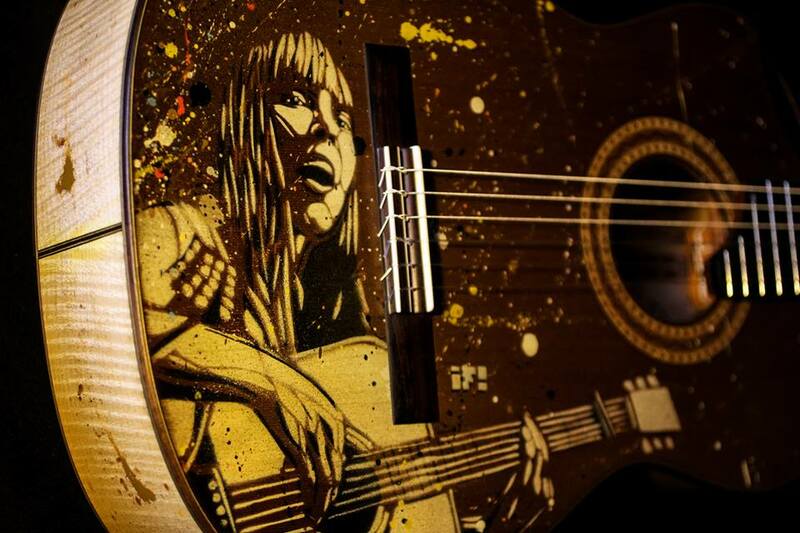 I painted Joni Mitchell portrait on the front side and decided to paint Zélia’s image on the back side, because I had found a beautiful picture of her in which she seems to hold a guitar as a gift. 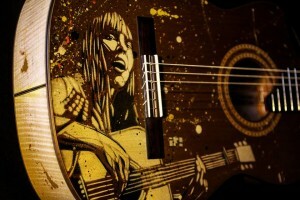 After that, Lineu finished the instrument with a varnish layer and gave me the case, so I splashed it with ink.”. In October 2016, Lineu Bravo went to Zélia’s concert and gave her the gift. 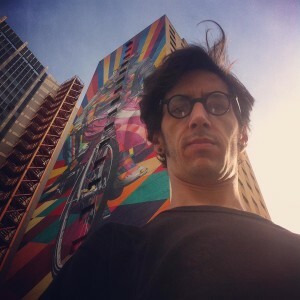 Felipe is an architect and also teaches at a Brazilian University named “Anhanguera”, in Taubaté, city of São Paulo. He is also a researcher at University of Taubaté. Felipe gives cultural workshops at schools and owns a workshop named “Casa Oficina”, in Taubaté, where he lives and develops his visual art projects. The artist expresses his ideas through words, painting, walls, tissues, ground and canvas. Zélia Duncan is a phenomenon as a high-selling singer/composer and has sold 160,000 copies of her Zélia Duncan album. Since 1994, she has been a major national success, touring through countries of Europe in 1996 and also winning awards from critics in Brazil.